Huge selection of classic stencils for elegant home decor. 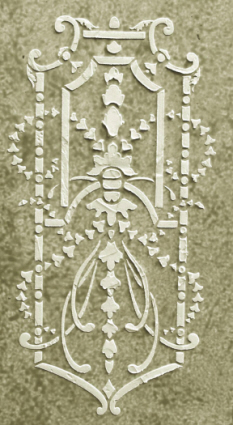 This plaster stencil design was born to enrich high end homes, paneled across the ceiling or used as the central design on the kitchen cabinet doors to create the look of hand carved designs. But since I don’t have a high end home, I’ll just make mine look like one! Here, Laurel Duval uses this stencil to dress up a super plain cabinet in a unique way!